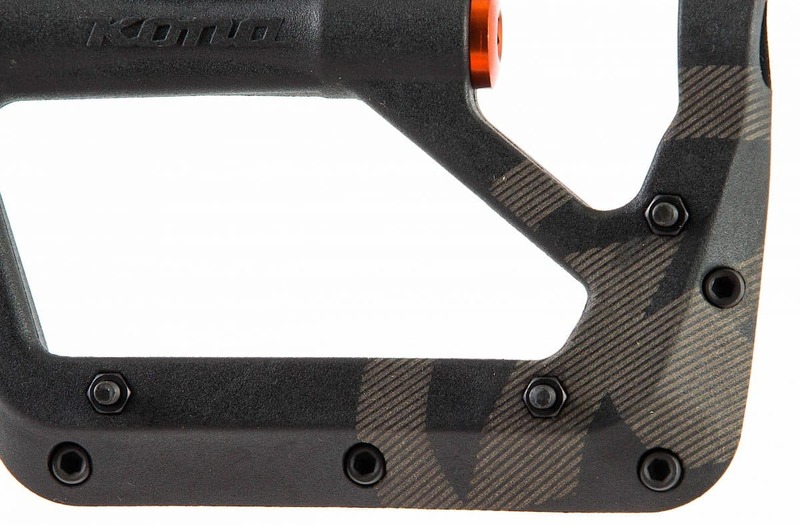 Flat pedals have made a strong come- back over the last year, with more and more riders ditching their clips for a more challenging and fun way to ride. Flat pedals, however, are not all made the same; there are good ones and bad ones. 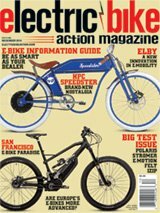 Kona recently introduced a new generation of Wah Wah 2 pedals designed to be inexpensive, durable and, most of all, make riding more fun. We spun Kona’s new composite Wah Wah 2 pedals onto one of this month’s test bikes to see firsthand how these pedals stack up against the rest. Tech features: The Wah Wah 2 pedals are constructed from fiberglass-reinforced nylon composite, making them lightweight and durable. Our test pedals weighed just 360 grams per pair. 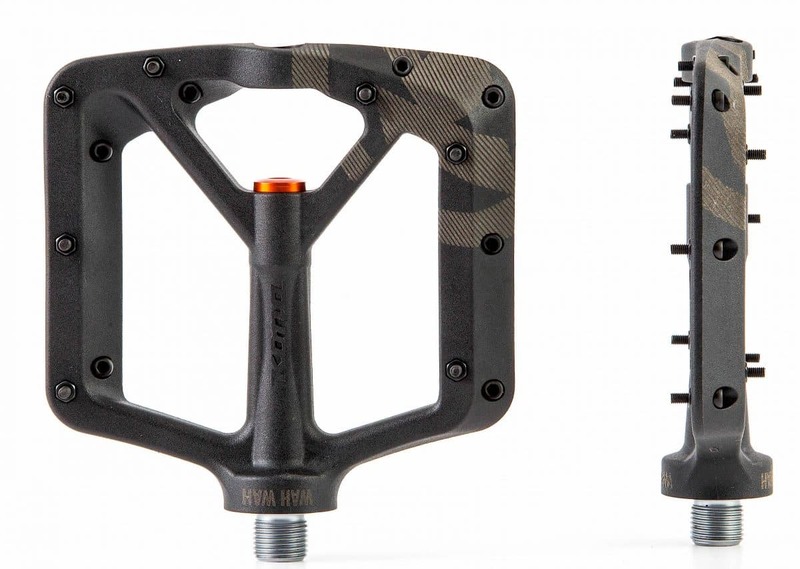 Kona designed these pedals with a thin profile and wide platform to ensure comfortable foot placement. The pedals also have 14 replaceable pins, which further ensure a secure feel. The pedals are 100 percent serviceable, so riders can hang on to them for a while, and they come in six different colors to better match your ride. Kona sells the new composite Wah Wah pedals for $60. 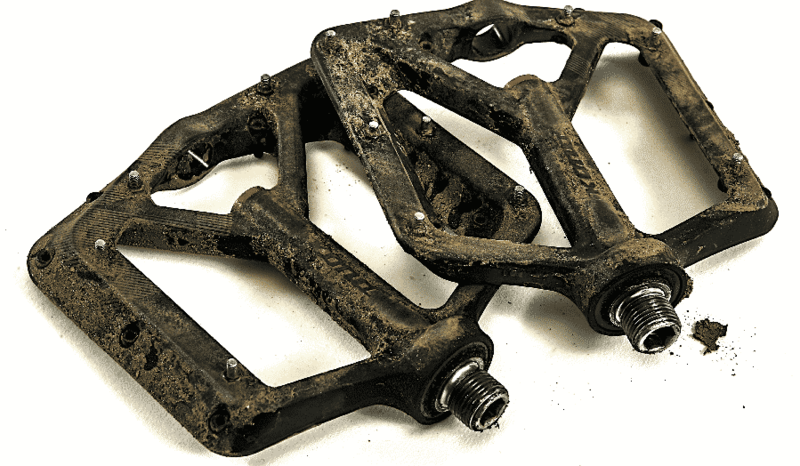 Field test results: Pedals take a lot of abuse out on the trails—from smashing into rocks or roots to dealing with water, sand or dirt. We decided it wouldn’t be fair to treat these pedals nicely, so we tasked ourselves with trying to beat up these pedals as best we could. The Wah Wah 2 pedals offer a nice shape that isn’t too wide. The pedals are longer than other pedals we have ridden, providing great support, and the thin profile helped with clearance over rough terrain.